You might be thinking to yourself, “whatever, vaping is just a fad, it’s just too new and hasn’t been tested – it’s not here to stay.” Well, you can think what you want, but they aren’t going anywhere. Sure, e cigs have changed over the years, but for the better. As technology gets more and more advanced, the technology utilized in e cigs will continue to improve as well – there’s no stopping it. The first electronic cigarette patent was filed in 1963 by a dude named Herbert A. Gilbert. According to an interview with Mr. Gilbert, he said that it was kind of obvious that inhaling burnt stuff was gross. So he did what any normal human being would do and used “logic” to create a smoking alternative that didn’t rely on the need for combustion (okay, maybe not any normal human being – I’m hardly industrious enough to cook Kraft Dinner on my own). If you look at Herbert’s patent, you’ll see that it looks almost exactly like those cig-a-likes that you see advertised on t.v., and if you know anything about e cigs (it’s okay if you don’t because that’s why we’re writing this guide – there’s no judging here) you’ll find familiar concepts in his patent like flavor cartridges, heating elements, and smokeless flavored air. Why Don’t I Remember E Cigs in the 60s? Well, uh, because they weren’t really around. 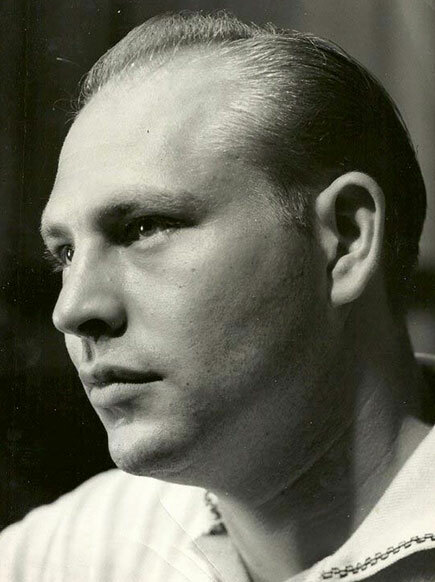 There’s no denying that Herbert had a great idea and invented e cig technology, but the world just wasn’t ready – that and the manufacturers he pitched his idea to didn’t feel like manufacturing his idea until his patent expired. At least, that’s what Herbert claimed happened, but why shouldn’t we believe him? It’s not like cigarette companies are the nicest people, and there certainly wasn’t any rush at the time to find an alternative. I mean come on, it was the 60s – cigarette ads were still allowed on t.v. and people smoked everywhere. Heck, I remember people smoking in the Arby’s in the mall as recently as the 90s. So why release a less addictive, healthier alternative when there were so many people purchasing cigarettes already? So poor Herbert’s revolutionary invention was ignored and his patent was left to rot in the archives – until 2003. Once upon a time, Hon Lik forgot to take his nicotine patch off one night before bed. The nicotine made his subconscious mind produce one of the trippiest, yet most informative, dreams of his life. He dreamed that he was drowning in a sea. He was dying, his lungs were filling with water. Then, miraculously, the water he was drowning in transformed into harmless vapor that he could easily breathe. After a lot of research and trial and error, Hon Lik turned his dream into a reality. He released his smoking alternative to the international public in 2006. Hon Lik’s first e cig consisted of a battery, a plastic cartridge containing a nicotine solution suspended in propylene glycol, and an ultrasonic atomizer. Didn’t You Tell Me That E Cigs Used a Heating Element? Well, they do – now. 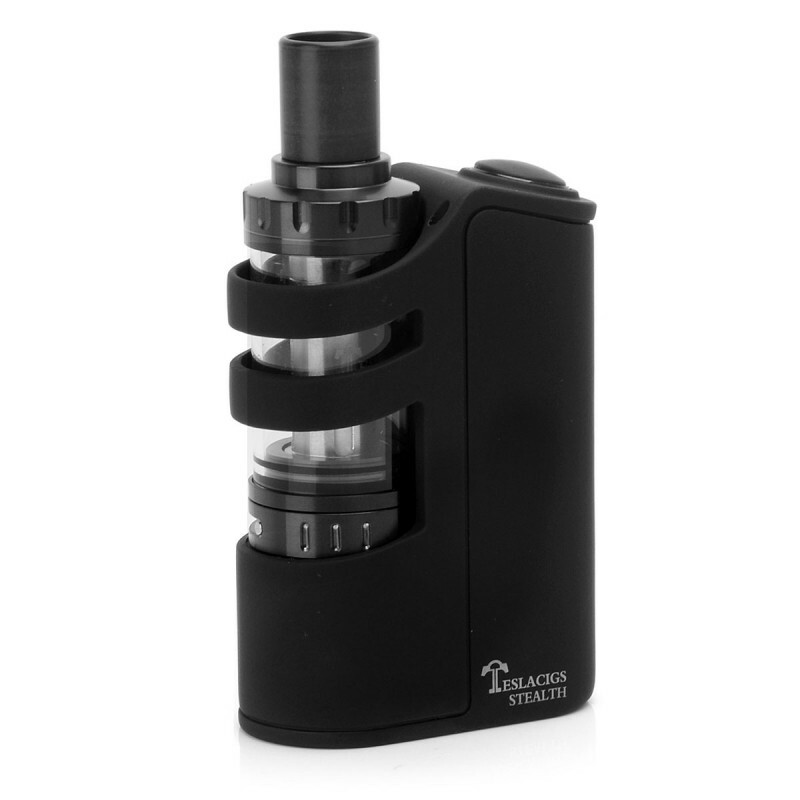 Most mainstream cig-a-likes that you see on the market today utilize a cartomizer, instead of an ultrasonic atomizer. The cartomizer was invented in the UK by a couple of bros (like, real bros not friend bros – though I’m pretty sure the two types of bros aren’t mutually exclusive) named Umer and Tariq Sheikh. The cartomizer was a bit more user friendly and worked differently than the traditional atomizer/cartridge combo. Before the cartomizer, you needed a separate cartridge that attached to an atomizer (heated or ultrasonic). Now, instead of requiring multiple pieces, you only needed one since cartomizer is a self contained disposable unit. 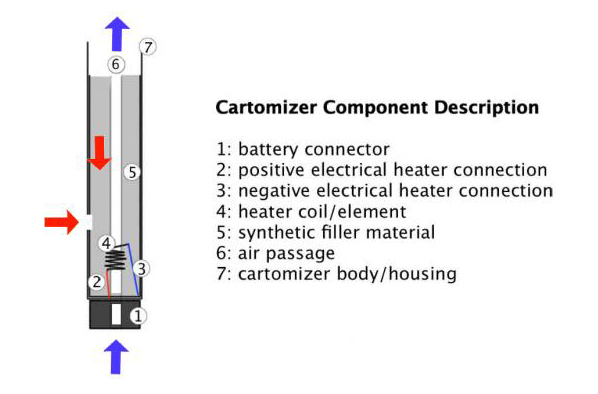 Cartomizers are comprised of a tube filled with a dense poly fill material surrounding a heating element. The poly fill material absorbs the e juice and keeps it in place around the heating element. Sure, atomizer/cartridge combos still exist, but there’s no denying that the cartomizer dominates the current mainstream e cig market. They’re simple to use, produce great flavor, and they’re entirely disposable. As e cigs were gaining popularity in the early 2000s, so did the subculture. While a lot of people liked the stock e cigs on the market, there was a small subset of people who wanted more out of their vaping experience. Since the concept of the e cig isn’t all that complicated (I mean it’s just a battery, a heating element, and juice), people began experimenting and modifying their own e cig configurations. A modded flashlight was one of the first common e-cig battery “mods,” and is the the grandfather of a lot of the current e cig mech mods you’ll see on the market today. Flashlights were easy to work with since they’re just comprised of a hollow tube for batteries, a switch, and threading where you’re supposed to screw in your light bulb (well, a simple flashlight anyway, we’re not denying the existence of complex crazy flashlights out there). While e cig mods come from humble beginnings, as the culture grew because more and more people wanted higher performing e cigs/batteries with different features, different batteries, mods, and accessories were manufactured and sold. Any e cig that doesn’t resemble a traditional cigarette is referred to as a “mod,” even if it’s an out of the box professionally manufactured device. Now, there’s e cigs in all shapes and configurations – so even though a lot are manufactured, most are customizable and MODifiable. There are digital mods with variable voltage/wattage settings, mechanical mods without complex circuitry, pen shaped mods, cylindrical mods, and even box mods (this is starting to sound like a bad Forrest Gump impersonation, so I’ll stop because I’m sure you get the point). In addition to different battery configurations, there are a wide variety of atomizers to choose from that exhibit different properties. There are a lot of premade atomizers like cartomizers, clearomizers, and dripping atomizers, but a lot of people mod their atomizer set up as well (there I go using that mod word again). You’ll find people changing the wicking material, building their own coils with wire (instead of buying replacement coils) for their atomizers or cartomizers, or punching holes in the sides of cartomizers and submerging them in tanks of e juice. Regardless of your lifestyle or expectations for your vaping experience, there’s bound to be a set up that’s just right for you. If you want something that’s easy to carry and doesn’t require any maintenance, there’s something for you. If you want an e cig that’s more complicated than the first lunar lander, there’s a mod that’s just right for you. If you’re like Goldilocks and want one that’s customizable, but not too complicated, don’t worry because you’re covered too – we guarantee it. And as awesome as e cigs are in the current market, they’ll only continue to get better and better as technology evolves. E cigs might have only been in the mainstream for a little less than 10 years, but they’ve already undergone quite the evolution – we can’t wait to see what people with come up with next.